The CMHAC meets 7:00 pm on the first Monday of each month at the club’s new clubhouse on Bolaro St which is pictured above. The club is purely social in nature and actively supports the local community by donations to various charities. 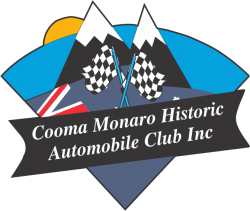 Approximately 120 members from the southern Monaro area actively support a wide range of regular monthly club events and combine to host two major events, the Snowy Mountains Classic Tour and the Cooma Motorfest on an alternating yearly basis.